Dr. Sapisochin’s recent publication in the Journal of Hepatology provides and intention-to-treat analysis of stereotactic body radiotherapy versus TACE or RFA as a bridge to transplant in patients with hepatocellular carcinoma. 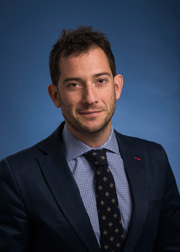 The paper was written in collaboration with other Toronto Faculty members including, HPB Fellowship Director, Dr. Paul Greig, as well as Senior Transplant Fellow, Dr. Nicolas Goldaracena. Stereotactic body radiotherapy versus TACE or RFA as a bridge to transplant in patients with hepatocellular carcinoma. An intention-to-treat analysis.